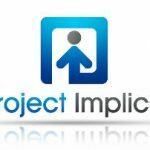 Project Implicit A series of implicit association tests that offer insight into our implicit biases. 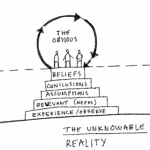 Liminal Thinking - The Pyramid of Belief by Dave Gray In this sketch video, Dave Gray postulates that each of us has own reality based upon our individual pyramid of belief. Recognizing that these pyramids are built upon our life experiences and put us at risk of becoming blind to our assumptions and biases is a particularly resonant message for healthcare professionals whose assumptions and biases can have grave implications.